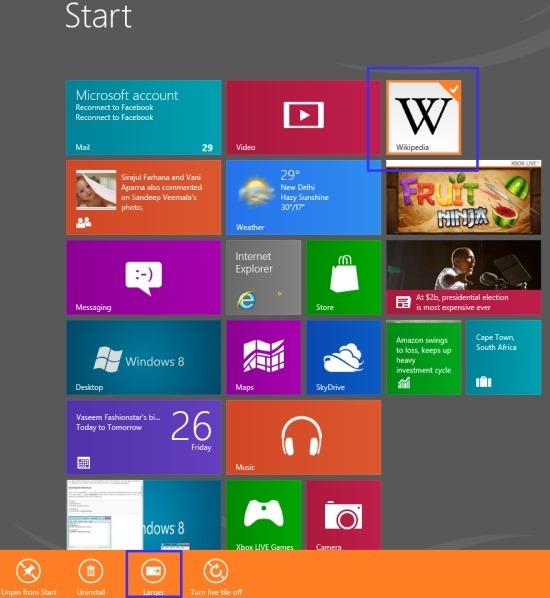 Here is a quick tutorial on how to make Windows 8 tiles smaller in size. With the increasing exciting for the very new Windows 8 apps, developers are completely into making more and more for you to download. However, there are apps that have large tiles and take more space. This looks quite messed up at one time, when you collect so many apps on Start Screen. Hence, to make more rooms for apps, you can make the size of the tiles smaller. 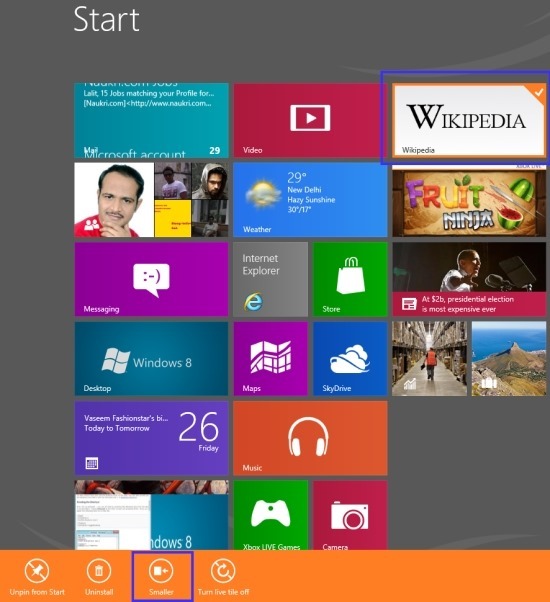 Below given is a step-by-step tutorial on how to make Windows 8 tiles smaller in size. Go onto the Windows 8 Start Screen. Select the app (right-click on the app) whose size you want to make smaller. A horizontal Menu bar will open, click on ‘Smaller’ option to make the tile smaller. However, in case you want to get the tile back to the large size, just click on ‘Larger’ button. Go ahead and make your Windows 8 Start Screen more spacious and keep as many installed apps as you want without making the screen crowded.